Spicy and savory breakfast classic. 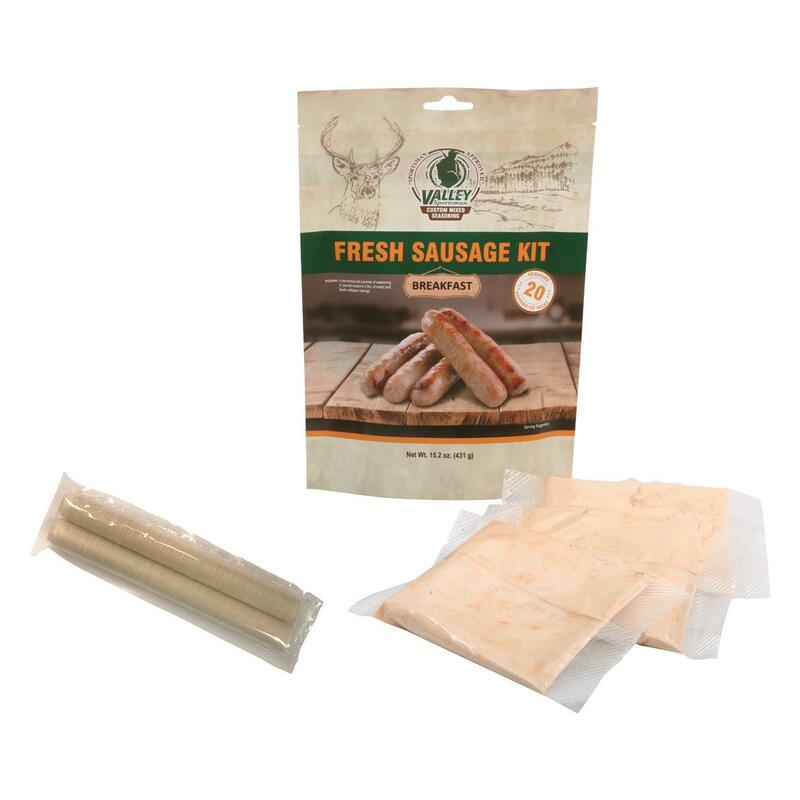 Make fresh sausage from your wild game harvest, right at home with this Valley Sportsman Fresh Breakfast Sausage Seasoning Kit. All you need is included here. Each Kit contains enough seasoning to flavor up to 20 lbs. of meat. Know exactly what goes into the final product, and get results that taste as good or better than the stuff at the store. Valley Sportsman Fresh Breakfast Sausage Seasoning Kit is rated 5.0 out of 5 by 1. Rated 5 out of 5 by JerkyFan2122 from So tasty! I am a fan of these kits! I love how everything is in the bag needed to make the sausage. The flavor is delicious my husband and I are looking forward to trying the other flavors!